When I discovered my chain saw was missing the handle fillers I considered duct tape because I knew the search for replacements would be aggravating. 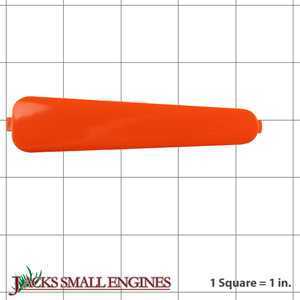 Remembered buying small engine parts from Jack’s and found the fillers immediately with the sorts available on line. Arrived in a couple of days and fit perfectly. Ask us about the Husqvarna 503404701 Handle Filler. Please no repair questions. Your Q&A may be posted to Jackssmallengines.com to help other shoppers, like you, with their purchasing decisions. Thank you.